When it comes to reversing insulin resistance and simplifying your life with diabetes, one of the most effective ways to gain insulin sensitivity is to lose weight. The reason for this is simple: in overweight individuals, weight gain is associated with a reduction in insulin action. Conversely, weight loss in overweight individuals is associated with a significant increase in insulin action, which results in a reduction in the amount of insulin secreted by your pancreas (in non-insulin dependent individuals), or a reduction in the amount of injected insulin (in insulin-dependent individuals). Think of an increase in insulin sensitivity as a convenient "side effect" of weight loss that happens as a result of burning fat in adipose tissue, liver, and muscle. When losing weight, you lose both adipose tissue mass as well as lean muscle mass. In an ideal world, you would be able to lose only fat mass while preserving lean muscle mass – however, from a biological perspective this is impossible. High-protein diets are extremely common in the weight-loss world, and are very effective at helping you lose weight while preventing against the loss of large amounts of lean muscle. Since weight loss generally results in increased insulin sensitivity, do high-protein weight loss diets accomplish the same thing? In this study, obese, postmenopausal women were divided into one of three groups. The first group acted as a weight-stable control group. In the second group, participants were fed a diet containing 0.8 grams of protein per kilogram body weight. In the third group, participants were fed a high-protein diet containing 1.2 grams of protein per kilogram body weight. Participants in both intervention groups were studied until they lost 10% of their initial body weight. What the researchers found was remarkable. Despite the fact that participants in both groups lost 10% of their initial weight, only subjects that ate the normal-protein diet gained insulin sensitivity. Subjects in the high-protein group actually became more insulin resistant. This is one of the first studies of its kind to show that high-protein intake negated the insulin sensitizing effects of weight loss. Interestingly, those eating the high-protein diet actually ate less dietary fat than the normal-protein group, suggesting that they should have observed increased insulin sensitivity. This suggests that protein may play a larger role in the development of insulin resistance than originally thought. In addition, the normal-protein group experienced a reduction in oxidative-stress-related metabolic processes after losing weight, but the high-protein group did not see this improvement. The normal-protein group also saw decreased gene expression of genes associated with oxidative stress, while the high-protein group increased the expression of genes associated with oxidative stress. The authors hypothesized that this increase in oxidative stress may explain why the high-protein diet negated the improvements in insulin sensitivity typically observed with weight loss. Many people living with diabetes around the world are told to eat a high-protein diet to "balance" blood glucose or to prevent against the loss of lean muscle mass. As a result, people with all forms of diabetes gravitate towards high-protein diets (that also often inevitably contain a large quantity of saturated fat). And as we’ve covered in a previous article, high-fat diets are the easiest way to create insulin resistance. So the next time you reach for a high-protein food or consider increasing the overall protein content of your diet, remember the effect that it will have on your insulin sensitivity. The conventional wisdom in support of a high-protein diet is misleading and negatively affects your diabetes health. This article is a collaboration between Cyrus Khambatta, PhD and Tara Kemp. Cyrus Khambatta earned a PhD in Nutritional Biochemistry from UC Berkeley after being diagnosed with type 1 diabetes in his senior year of college at Stanford University in 2002. 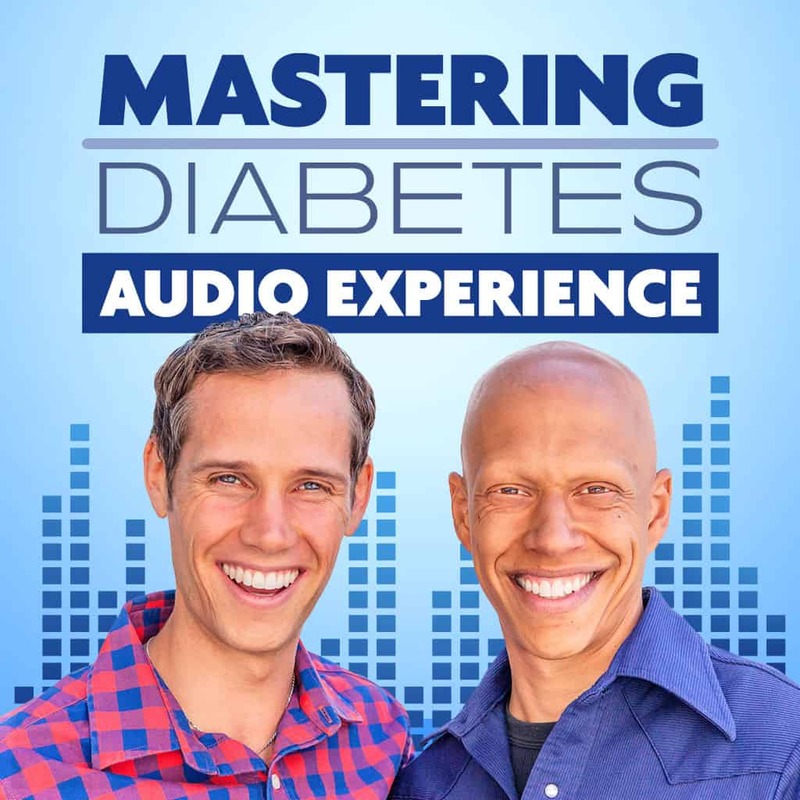 He is an internationally recognized nutrition and fitness coach for people living with type 1, type 1.5, prediabetes and type 2 diabetes, and has helped hundreds of people around the world achieve exceptional insulin sensitivity by adopting low-fat, plant-based whole foods nutrition. Tara Kemp is the Director of Nutrition Education for Mastering Diabetes. She has been active in the field of health and nutrition for many years, including working with Forks Over Knives, Engine 2, and Dr. Neal Barnard and the Physicians Committee for Responsible Medicine. Tara has a bachelor's degree in Education from Bucknell University, a Certificate in Plant-Based Nutrition from eCornell, and is a Certified Food For Life Instructor through the Physicians Committee.